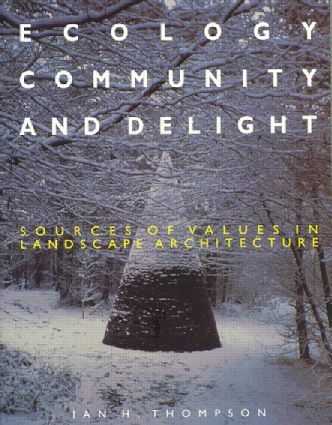 This book examines the three principal value systems which influence landscape architectural practice: the aesthetic, the social and the environmental, and seeks to discover the role that the profession should be playing now and for the future. The book integrates an investigation of historical sources with contemporary research into the beliefs and values of practitioners. The book raises questions such as: should landscape architecture aspire to the status of an art form? What is the relationship between aesthetics and ecology? Does landscape architecture have a social mission? In practice: improving the view? In practice: but is it art? In practice: social workers in green wellies? In practice: saving the planet?